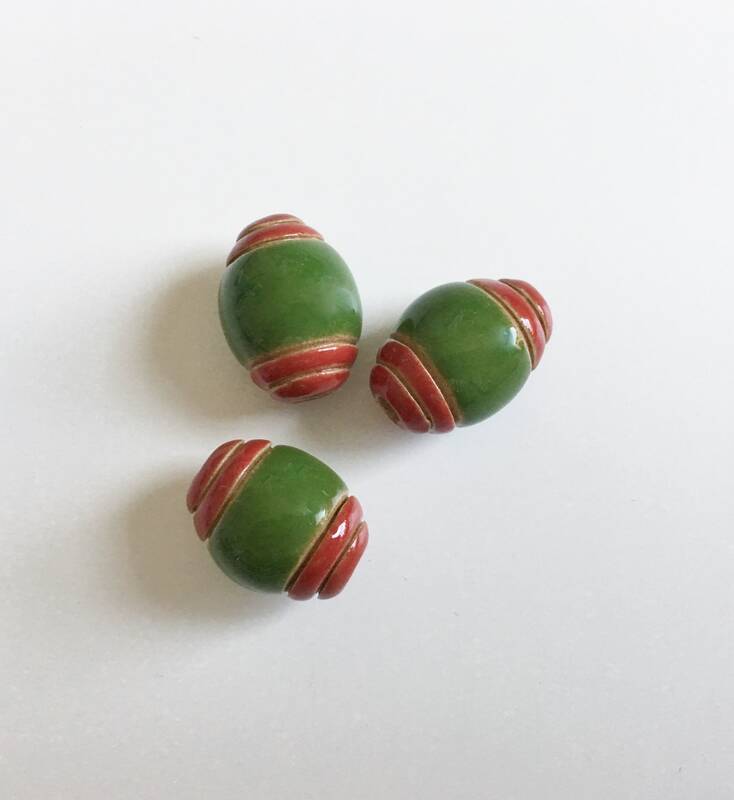 Oval red and green carved bead. Measures 18mm long by 12mm at the widest middle. Such good quality, sturdy beads. Just as described. Love them. Shipped quickly.